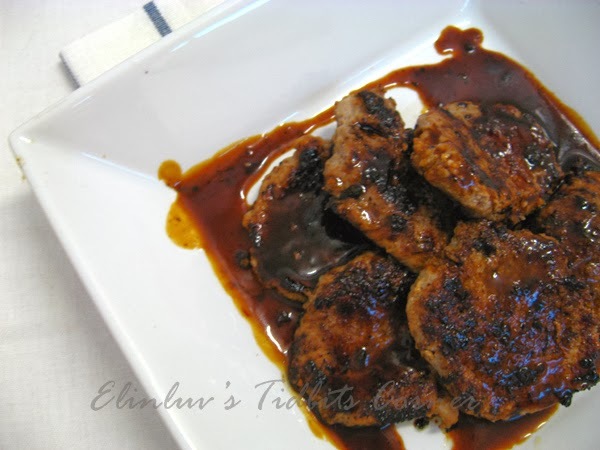 Simple to prepare red wine marinated pork loin and yet flavorful and aromatic . Every bite burst with red wine sauce...mmmmm lovely. This was what I did with the balance of the cooking red wine in the fridge. Marinate the pork loin over night in a zipper bag and pan seared it till cooked with a bit of burnt edges...ah, I love the slight burnt part..it add flavors to the meat :p . With the balance of the marinade sauce....cook into a sauce and pour over the cooked pork loin...one word Yummy! 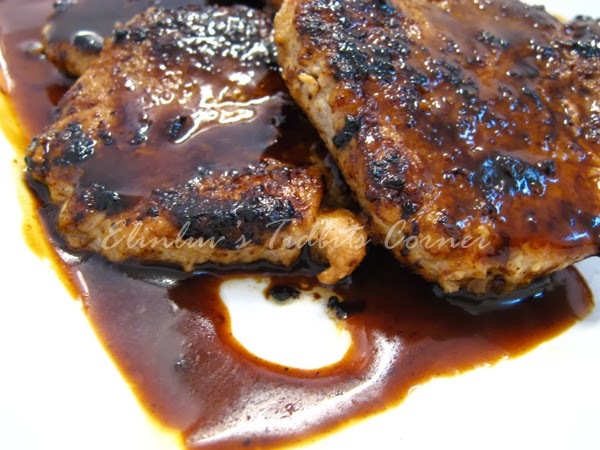 Marinate the pork loin slices with the marinade sauce . Keep them in a zipper bag and leave over night in the fridge. Add veg oil in a non stick pan. Under a medium high heat, pan seared the marinated meat till cooked on both sides. Repeat until all the pork loin are pan seared. Pour away excess oil from the non stick pan. do not wash the pan. To make the red wine sauce , using the same non-stick pan , pour the balance of marinade sauce into the non-stick pan and cook the marinade sauce till it thicken. If the marinade sauce is not enough to make the sauce, add in a tbsp of red wine and water . Once it thickens, pour over the cooked pork loin and serve hot .